Information confirming that there is a new program of tactical cooperation between Hezbollah and Hamas, which could easily result in a Third Lebanon War with Israel. 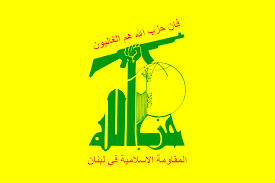 The reported arrangement, which provides that Palestinian terrorists affiliated with Hamas will train with Hezbollah, as well as learn rocket and missile technology, in Hezbollah-controlled territory in South Lebanon, is extremely disturbing. This tactical assistance will result in groups of radical Palestinian fighters being based near the frontier with Israel, and give Hamas the opportunity to open a new front against Israel, without exposing itself directly to IDF retaliation. I doubt whether Hamas' beleaguered leadership will be able resist an opportunity to tweak Israel from what they view as a safe haven. Trouble is, any Hamas attacks against Northern Israel will more or less automatically reault in retaliation, which could easily further escalate into a theater-wide conflict with Hezbollah. 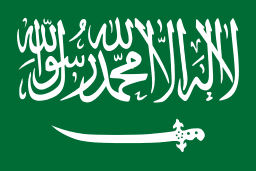 Israel's senior government figures have long warned that any future conflict involving Hamas-controlled Lebanon will result in the immediate destruction of Lebanese infrastructure, and since Israel has air superiority, I fear that downtown Beirut, including Lebanon's precious banking center, will be on the top of the list. Given Israel's recent attacks on Iranian military installations in Syria, you can expect any Palestinian fscilities in South Lebanon to get more of the same treatment, if there are even small attacks across the border, so a Third Lebanon War may well be inevitable; if you asssume so, then any pending transactions with Lebanese banks, importers or traders, or any exension of credit or investment would be out of the question. Will 2018 be the year that Lebanon is forced back into war ? We canot say, but we will be watching.